Babel is the home of lost manuscripts, the conceptual place where we can imagine them stored for safe-keeping. Each fragment in this database is conceived not only as an entity worth describing in its own right but also as evidence for a larger complete object that once existed. We strive to gather together the dismembered scraps and breathe some life back into them, extrapolating from what we have to provide as full a description as possible of the codex from which they came. We aim to re-create a sense of a manuscript that has been lost and to give it some sort of new existence, but where should we imagine such a book as living? It cannot be designated, as is any complete survival, by a single physical location, since elements of it may well be dispersed between different collections. It 'exists' in a virtual space, in a no-place -- but we cannot call it Utopia, because that has come to have a specific meaning among cataloguers. It is used to signify the location of manuscripts in private collections whose owners do not wish the whereabouts to be broadcast. Those manuscripts could, of course, include fragments so, in future, when the ambitions of this project to include cuttings in private hands as well as public repositories are realised, Utopia may come to be used in the same way. It could be a location of the fragmentary, but not of the re-conceived 'lost manuscript'. Babel has not, to date, been pressed into similar service by cataloguers but it is highly appropriate as a signifier of an imagined place. It alludes to a tale that has held a fascination for western civilization, from Pieter Breugel (at the latest) to George Steiner. 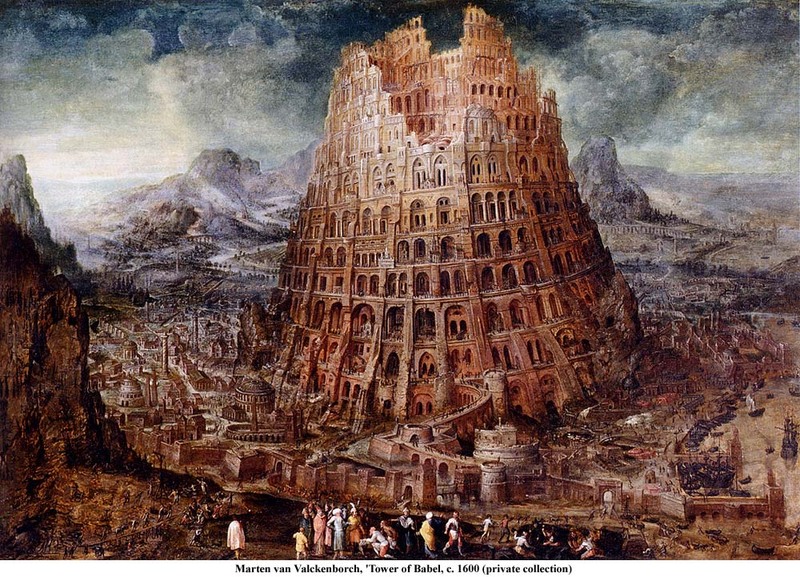 As related in Genesis, when Nimrod -- a mighty hunter before the Lord -- ruled and all people spoke one language, they concocted a plan to build a tower which would reach to the heavens. God himself, displeased by the over-reaching arrogance of that initiative, struck down their construction and, furthermore, 'confounded their language, that they may not understand one another's speech' (Genesis 11:7, King James Version). 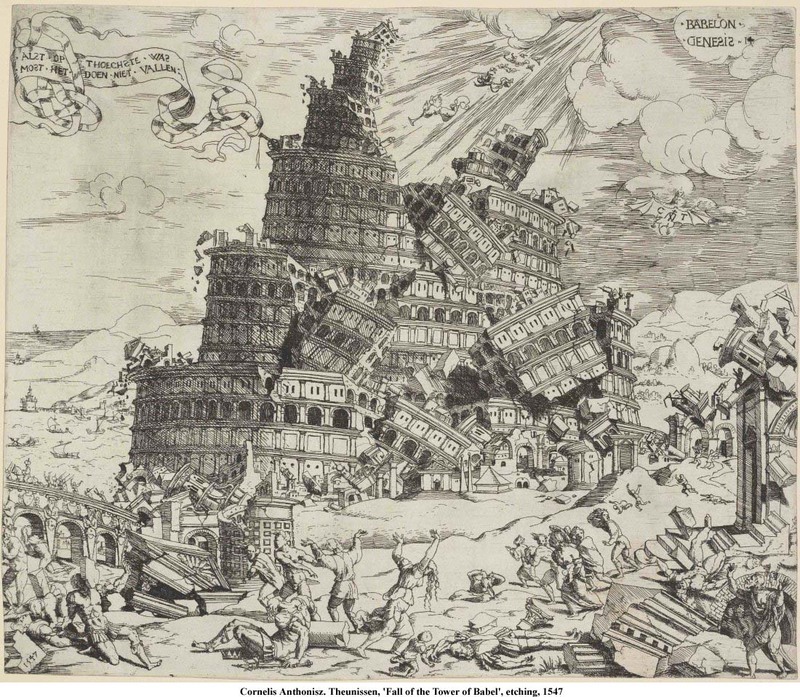 The destruction of the tower can stand as a metaphor for the scattering of the elements that once were a codex, and our work is an attempt to travel to a time before the confounding. Of course, in the famous story of Jorge Luis Borges, 'La Biblioteca de Babel', the entire tower is the Library which is also the Universe. Surely, in that infinite space, there cannot but be room for the lost manuscripts described on this website. Yo afirmo que la Biblioteca es interminable - the Library is unending, Borges's narrator asserts. This database begins with tens of fragments and moves to hundreds and aspires (the gods of funding willing) to embrace thousands. It will never be infinite, in the manner of the Library, but by designating our discoveries as living in Babel, we are also acknowledging that, as the Preacher said, there is no end to the making of books.